Most Marvel fans can agree – it feels like “Captain Marvel” has been in production for a long time, even for a superhero movie. 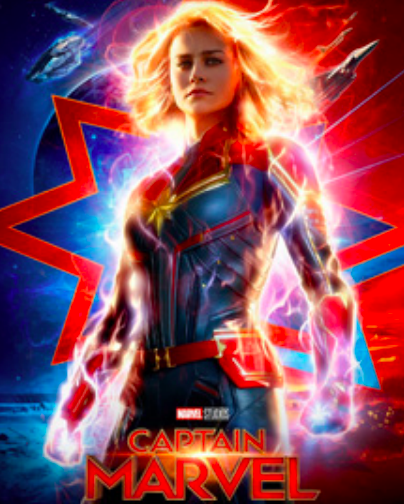 Until the official announcement that the movie was made, I didn’t think much of Carol Danvers (played by Brie Larson), the given name of Captain Marvel. Anticipation boiled for the movie when the post-credit scene for “Avengers: Infinity War” showed Nick Fury (played by Samuel L. Jackson) paging Captain Marvel as humanity’s last hope. I haven’t seen much of Larson since she starred in “Room” in 2015. Her big transition to a lead superhero role was bold, but it worked. Larson’s acting showed a lot of eagerness, similar to Luke Skywalker in “Star Wars” when he was trained by Yoda. Unfortunately, the eagerness is met with confusion after a dramatic plot twist makes it hard to decipher where the film’s climax is. It took awhile to figure out the plot of the movie, up to the point where I felt like I was watching a DC superhero movie. I wanted to get up and walk out of the theater. The plot is slow to develop; Larson’s character smashes into a movie rental store that is now a relic due to the birth of digital downloads. The humor following her crash landing on earth kept the movie alive, and fortunately didn’t over-saturate a shoddy story into a comedy. Viewers can tell Captain Marvel wants to do what is right, but this realization comes without depth. The lack of a backstory in the film makes it harder for non Marvel comic book fans to understand the reasoning behind her actions. The movie is more desirable to the dedicated Marvel fans because they know who the characters are. A movie should be for the entire audience, not half of it. Cedric Sanz, a junior astrophysics major thought the movie separated the audience. “It’s not a bad movie and if you’re a big fan of Marvel films then you’ll love it, but most people will come out of it wanting more,” Sanz said.